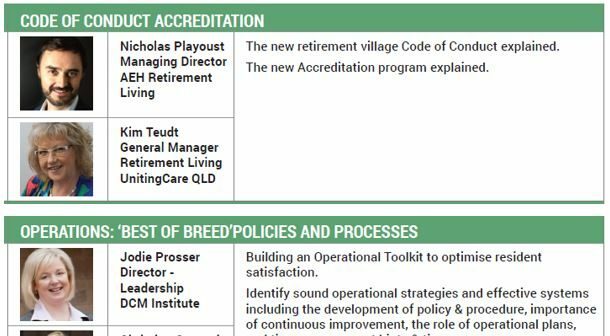 To comply with the retirement village Code of Conduct Village Managers will have to demonstrate training has been completed across a number of areas. 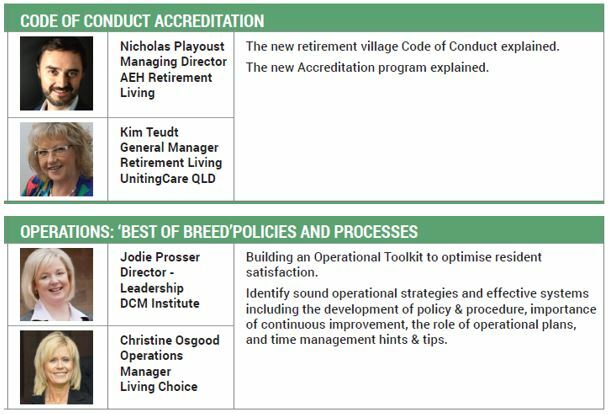 To comply with Retirement Village Accreditation Village Managers will require training on the accreditation program and demonstrate professional training across modules have been completed. To fast track your training obligations join us at the VILLAGE SUMMIT. Experience 22 leading speakers as they address individual components of the village manager role.